1. In medium mixing bowl, scramble eggs, egg whites, skim milk and pepper. 2. In medium skillet, heat black beans and salsa over medium heat for 5 minutes, stirring well. Set aside and keep warm. In large non-stick skillet, heat canola oil over medium heat. 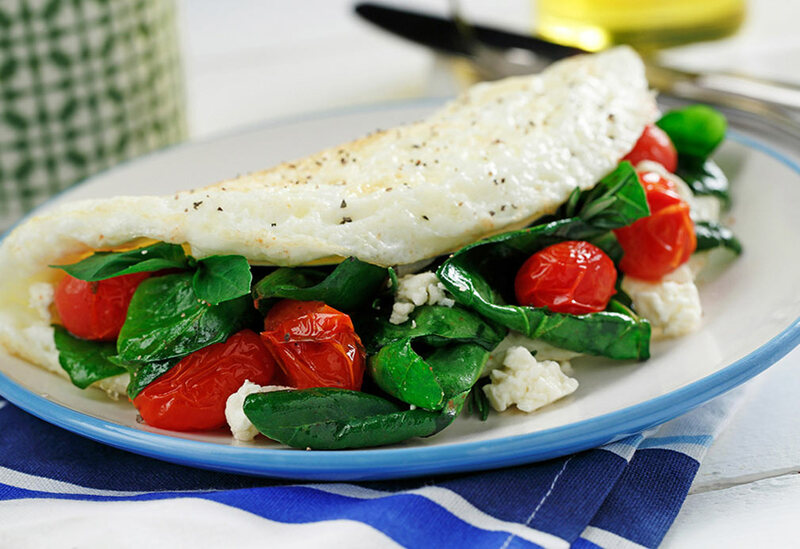 Cook eggs for 3 to 4 minutes, stirring occasionally to scramble. 3. Place tortillas on work surface. 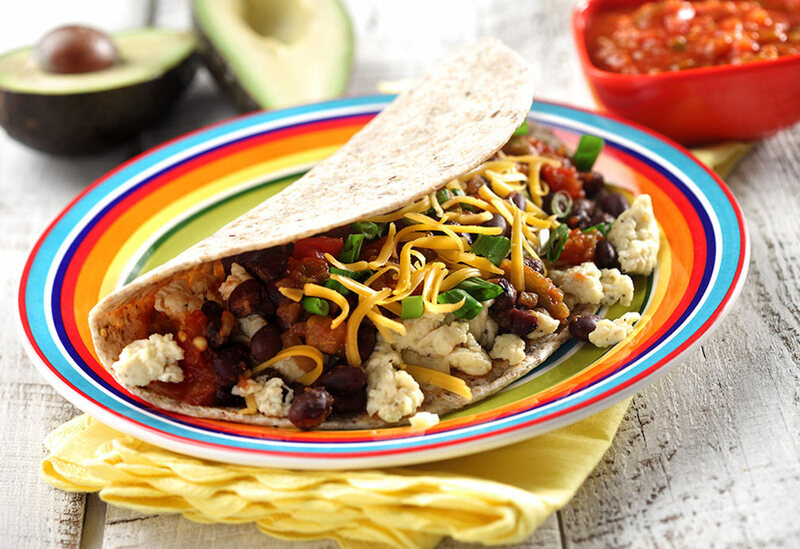 Divide egg mixture equally in center of each tortilla. 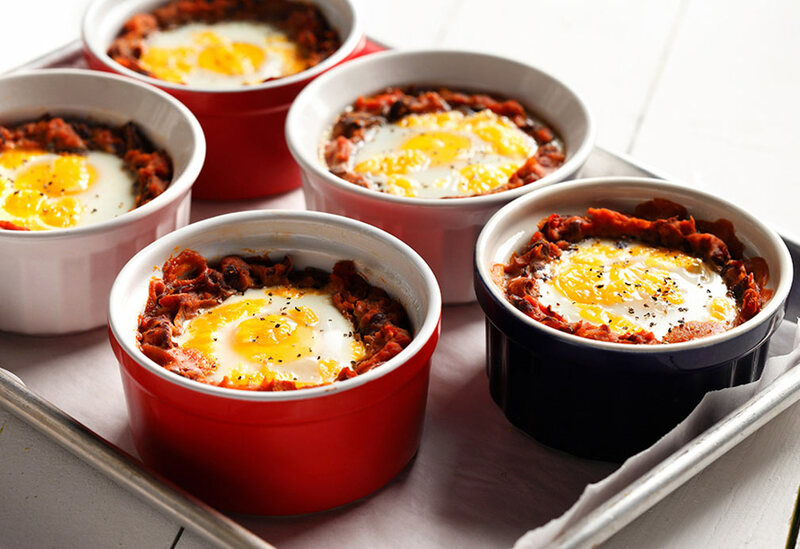 Add black bean mixture and cheese evenly over eggs. Add desired toppings and serve immediately. 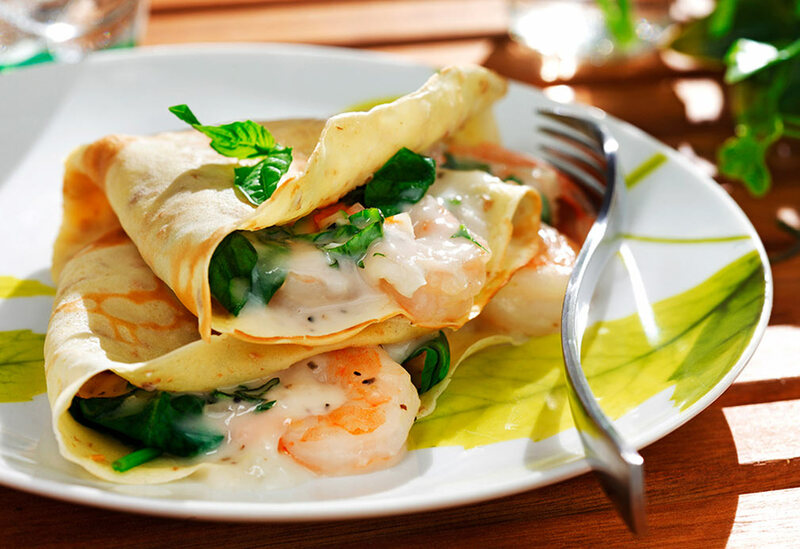 These scrumptious, savory crêpes are easy to make and will bring an elegant flair to your special brunch menu. Using canola oil in the crêpe batter rather than butter and replacing some of the white flour with whole-grain flour makes the crêpes healthier without sacrificing their rich, decadent taste.